Consent to Auto-dialed Marketing Calls and Text Messages. By checking the "I AGREE" box, you authorize Fast Auto and Payday Loans, Inc (or its agents), to make telemarketing calls and send marketing text messages to your telephone number listed above using an automatic telephone dialing system on a recurring basis. Signing this consent is not a condition of purchasing property, goods or services through us. If you do not wish to receive sales or marketing calls or texts from us, you should not check the "I AGREE" box. You understand that any messages we leave for you may be accessed by anyone with access to your voicemail or texts. You understand that your mobile phone service provider may charge you fees for calls made or texts sent to you, and you agree that we will have no liability for the cost of any such calls or texts. At any time, you may withdraw your consent to receive marketing calls and text messages by calling us at 800-922-8803, emailing us at webquestions@clacorp.com, or by other reasonable means. Alternatively, to stop marketing text messages, simply reply “STOP” to any marketing text message that we send you. Sometimes, our financial situation goes a little sideways. You have been working hard, trying to budget but something always throws a wrench in the machinery. You need new tires or maybe your brakes are acting up. The sink is leaking, or the dishwasher is not draining. The air conditioning went! Or, perhaps it's even more personal, you are having a medical issue that requires money that you didn't happen to have laying around. In moments like this, you might feel lost and a quick google search for "quick cash now" can present you with a host of fast cash loan options. But! Before you go jumping into any decisions, it is best to be informed. 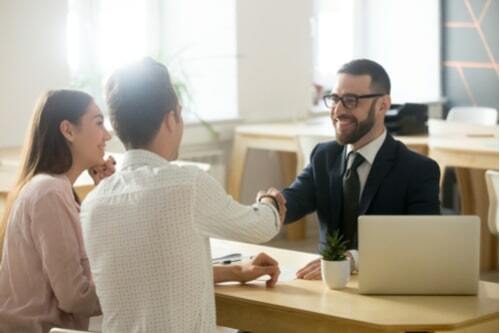 With that in mind, we are here to provide some info on the type of fast cash loans that are available and the kinds of questions you need to ask before getting one. So, What Are Different Fast Cash Loans Available To You? There are several different types of fast cash loans out there! Here are a few you should know about! A payday loan is a short-term loan that is designed to help you from one paycheck to the next. Payday loans are generally for amounts of $500 or less. Here at Fast Auto and Payday Loans, Inc, we offer payday loans from $100-$255. Payday loans terms generally are two weeks (sometimes more) with a higher interest rate than some longer-term loans. The best part is that you can get the case you need for your emergency very quickly. While other loan options might take a few days, many payday loans can get you the money in a fraction of the time. Here at Fast Auto and Payday Loans, Inc, we pride ourselves in getting you the cash you need, when you need it!. Title loans are another fast cash option available to you. Title loans are loans taken out against your car title. So, the important parts to remember with a title loan are: First, you must own your car outright. You cannot take a title loan out on a car that has a lien or a car you are leasing. Second, title loans are one of the shorter-term loans. Most set the repayment at thirty days. Because it is a shorter-term loan, the APR will be higher than long term loans. Third, the amount of money you get from a title loan depends on the value of your car. If your car has a higher value, you'll get more. While title loans are sometimes considered "small," you can also find ones that offer up to $15,000. For example, one of our title loans here at Fast Auto and Payday Loans, Inc. can be up to $15,000! So, what is a personal loan? Well, NerdWallet defines them as "A personal loan is money borrowed from a bank, credit union or online lender that you pay back in fixed monthly payments, typically over two to five years. Lender rates can range from 7% to 36% APR." Sounds good, right? Personal loans are considered "unsecured" loans meaning, simply, that they are not backed by any collateral on the part of the borrower (that's you). You don't have to put your car or something else up to get a personal loan. Sounds useful, huh? Well, most personal loans wouldn't be considered "quick" or "fast" but fear not! There are a variety of personal loans that you can get the same day! Check out this list from Nerdwallet . What Questions Should You Ask Fast Cash Loans and Lenders? So now we know about some fast cash loan types. Now it is time to get to the meat. How do you handle them? What should you be asking? We've got that info for you! How Much Can You Afford To Borrow from Fast Cash Loans? Before you get too far into your fast cash process, you need to decide how much you can afford to borrow. Borrowing amounts need to fit two criteria: What do you need the money for and how much do you make a month? Remember, while you are using fast cash loans to fill an immediate hole, you need to pay it back in the allowed. For instance, let's say you make $2,000 a month, you probably would not want to take out a title loan for $1500 that you would have to pay back in 30 days. Similarly, if you make $1000 every two weeks, you probably don't want a payday loan for $500 dollars. Make sure you look at the different options and their payback periods. 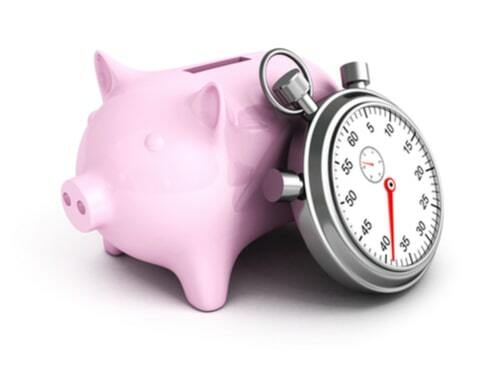 The key to a successful fast cash loan is making sure you can pay it back on time. Is this a Reputable Fast Cash Loan Lender? So, one bind you don't want to be in is getting into bed with a disreputable fast cash loan lender. As many people out there with financial issues, there are hosts of lenders trying to take advantage. 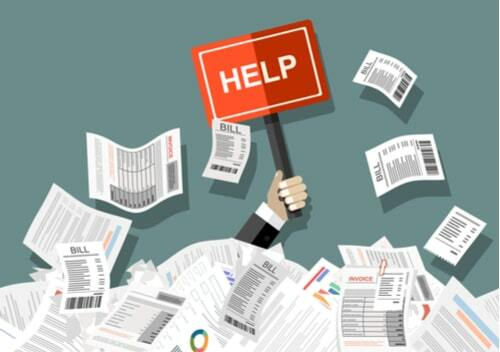 To make sure you aren't getting in a sticky situation, make sure your lender asks to see your credit score, your income, and credit report. You also need to be checking out reviews or even looking up Better Business Bureau scores! How Much Is the End Cost? So, before starting the process for fast cash loans, make sure you keep in mind what the end cost will be. How much will you be paying in total when all is said and done? If you do a longer-term loan (like a personal loan) by the time you pay it back, how much have you also paid in interest on top of the original loan? While short term loans have high APR, if you pay back it on time, the interest is actually not that much. The issue here is--you need to pay it back on time. Either way, you go, make sure you sit down and ask the lender to show you what the holistic cost of the loan would be. Fast cash loans are a great way to help out in a pinch but make sure you are going in as a formed consumer. Don't get surprised by large paybacks, don't borrow more than you can pay back, and don't end up with a lender who will take advantage of you. The key here (as with most things) is research. The more you do, the better you will be. Also, explore all your options. Can you get the money from somewhere else before going for a loan? You deserve to know what is available to you. But if you need a fast cash loan and you are in the California area, feel free to give us a call at one of our many locations. We'd be happy to help. © 2019 Fast Auto and Payday Loans, Inc. All Rights Reserved. DISCLOSURE: This is a solicitation for an auto title loan, installment loan or payday loan. This is not a guaranteed offer and requires a complete and approved application. Auto title loan amount subject to vehicle evaluation. and customer ability to repay. Results and actual loan amounts may vary. Certain limitations apply. Auto title loans and installment loans are made pursuant to the Department of Business Oversight California Finance Lenders License. For Payday Loans: This company is licensed by the Department of Business Oversight Finance Lenders pursuant to the California Deferred Deposit Transaction Law. This site is affiliated with one or more of the licensed lenders referenced herein, including Fast Auto Loans, Inc., d/b/a Fast Auto and Payday Loans, and RPM Lenders.